A room filled with bunk beds in the dilapidated Bruhat Bengaluru Mahanagara Palike (BBMP) building in J C Road is the home for daily wage labourers Yesu and Raj Kumar since four years. Be it sun or rain, this dingy structure provides shelter to them and many such homeless people when they return tired from work. The story of Yesu and Raj Kumar is interesting for it reflects the sad state of night shelters for urban homeless in Bengaluru. In 2012, when BBMP handed over the responsibility of operating J C Road night shelter to an NGO, the organisation hired Yesu and Raj Kumar in order to look after the night shelter. They were paid Rs 8,000 a month for their work. Being homeless themselves, the duo were happy to take up the work in night shelter. But then, things have not remained the same. The NGO Indo Global Service Society (IGSS) which used to operate the night shelter, stopped running the show in April 2014. The reason: delay in bill clearance by the BBMP. As a result, Yesu and Raj Kumar have not received their salary from one and a half year. “When the NGO walked out of the contract, BBMP planned to close the night shelter. But, we requested the officials not to do so. We told them that homeless people who are dependent on this night shelter will have to end up sleeping on the footpath if the shelter is closed. We asked them to allow us to stay there and assured that we will look after the night shelter on our own,” says Yesu. The two men shouldered the responsibility of caretakers of this night shelter. “We wake up early in the morning, clean the hall and toilets, fetch water from outside (as there is no provision of running water) and then go to work,” Yesu explains. When this reporter visited the night shelter uninformed, the place appeared to be clean. There was a drinking water can at the corner, room was lit and a table in the front had an attendance registry for homeless who seek accommodation in the night shelter. But, most of the bunk beds were dusty, indicating that they have remained unused for long time. The registry maintained at the shelter home shows that in the last few months, the number of homeless who take shelter on daily basis is anywhere between 10-15 on an average, whereas, it used to be 20-30 two years ago. Earlier, even homeless women were accommodated in the adjacent room. “Now the adjacent room is vacant. Women do not come and stay here because it is not a safe area,” Yesu says. Though, officially, BBMP is now in-charge of this night shelter after IGSS quit the contract, it has not done much for the maintenance. The last time a BBMP official paid a courtesy visit here was in May 2015, according to the registry. However, a person who was part of an NGO team that prepared a Fact Finding Report on urban homeless in BBMP (who did not want to be named), has a different take on Yesu’s claims. “After BBMP decided to close the night shelter, Yesu and his friends came forward to look after the shelter and the BBMP agreed. They are not doing free service. They get some commission from the BBMP and also collect Rs 500 a month from each homeless person who takes shelter,” he alleges. He adds that onus is on the BBMP to make suitable arrangement for functioning of this night shelter, so that homeless need not shell extra bucks to take shelter. The very purpose of establishing night shelter is futile, if homeless end up paying for accommodation, he points out. There is yet another night shelter for homeless on Goods Shed Road in Gandhi Nagar. This place is managed by an NGO Centre for Urban and Rural Development Society. Though BBMP is yet to clear one year’s maintenance bill, the NGO has not given up yet. However, they have withdrawn several facilities that used to be given to the inmates. Beds are torn and inmates are devoid of blankets. The Night Shelter Caretaker Satish who works there 24×7 says that he has not received salary from past four months. “We used to serve food for the homeless during the first one year of starting the night shelter which was stopped later. Now all that we are able to provide is the cot, mattress and toilet – bathroom facility,” he says. 71-year-old Halappa, who came to Bengaluru for a job three years ago, spotted this night shelter when he was walking out of the railway station. “I have no family and all I needed was a place to stay when I came to this city. The night shelter seemed good for me. I used to work as an accounts manager in a private company till a year ago, but jobless now. Yet I continue to live here, thanks to the kind caretaker who not only allows me to stay, but also gets me food by spending from his pocket,” says Halappa. The number of people who come to stay in this night shelter is anywhere between 15-20 everyday. Majority of them are railway workers, vegetable vendors and daily wage labourers. Like J C Road night shelter, even this night shelter does not accommodate homeless women. There were only 3-4 people in both the night shelters when this reporter visited them between 8 pm and 9 pm. All the night shelters in Bengaluru have a common story to say. The BBMP has outsourced them to NGOs (except the one on JC Road) and the Palike has not released the maintenance fund from two years. As a result, the NGOs are finding it difficult to operate the shelters. It has also resulted in the reduction in number of people who come to night shelters to stay overnight. In 2012, following the Supreme Court directions, the BBMP started 13 night shelters in the city to facilitate urban homeless people. Of the 13 night shelters, three have shut down and the remaining 10 continue to function. According to the annual contract between the BBMP and NGOs that run the night shelters, Palike has to pay them maintenance charge every month. Monthly expense of a night shelter is anywhere between Rs 35,000-Rs 50,000. With the BBMP not clearing the bills for more than one year, the NGOs are left in lurch. Speaking to Citizen Matters, Narasimhamurthy from Parivarthana Rural Development and Women Empowerment Organisation who runs two night shelters at Sanjay Gandhi Nagar and T Dasarahalli said that their bills amounting to Rs 25 lakh are pending with the BBMP from two years. “We have visited the BBMP several times requesting to clear the bill, but in vain. They direct us to approach the State Finance department and get the funds released. We used to offer dinner to the homeless in the past, but stopped it six months ago owing to fund crunch. All that we can do is to provide them place to sleep. We are not even able to maintain the toilets and provide water facility,” he says. The requisition submitted to the Director of Municipal Administration too has fallen on deaf ears. Parivarthana will not renew the contract if the situation persists, he adds. Gopinath from Sparsha Trust who runs a night shelter at Murphy Town says that the NGO has not received payment from one and a half year. BBMP officials used to cite election as the reason for delay in bill clearance. “We have no idea for how long they will give the same reason,” he rues. “Despite the fund shortage, we have not stopped giving food to the homeless. We collect donations and manage to look after the night shelter. The night shelter has seen six deaths so far due to ageing and illness. As we do not know the families of homeless, we take the responsibility of cremating their bodies,” he says. Sparsha Trust which also used to operate another night shelter in a BBMP building at Shivaji Nagar, was forced to shut down the centre, after a local MLA converted the building into a community hall. BBMP Welfare Officer Shivakumar cites the delay in clearing bills was due to “NGO’s untimely submission of bills and not following specific format while submitting the bills.” “NGOs submit the bills to concerned zonal commissioners, who will forward it to the BBMP’s Accounts Section. Palike sets aside certain amount for running the night shelter. We release the amount as and when the funds are cleared from the State Finance department,” he states. Convenor of Civil Society Forum for City Makers and member of a Joint Inspection Committee of Night Shelters Rajani Srikakulam opines that the initial interest to maintain night shelters has disappeared due to BBMP’s apathy. “In 2011 and 2012 when the Supreme Court was continuously monitoring the condition of night shelters across the country, the BBMP and Directorate of Municipal Administration were under the pressure to run night shelters,” she says. 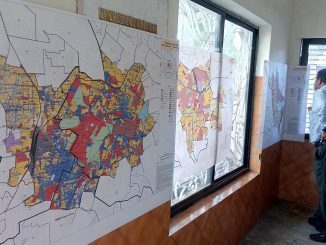 “Survey of homeless was conducted by a network of NGOs and an action plan was prepared to establish and operate them. On a temporary basis, the BBMP started 13 night shelters by outsourcing them to NGOs. Thereafter no effort has been made to establish permanent structures. We tried our best to convince the authorities on the need for operating quality night shelters. But the official apathy in implementation has made us lose interest,” Rajani points out. She says that NGOs are willing to help the authorities if they can take an initiative to improve the condition of night shelters. 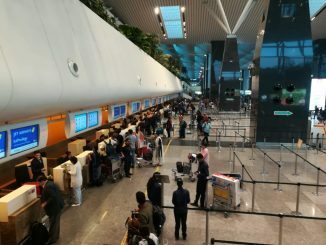 B.PAC submitted detailed observations on collection of user development fee at Kempegowda International Airport, Bengaluru, to the Airport Economic Regulatory Authority, commenting on the determination of tariffs for aeronautical services. I appreciate the staff journalist of Citizen Matters for taking up the subject. Most of us are not aware of such a facility in our City. I wish the Corporators and MLAs should visit the night shelters and see they are run properly. Heart touching edition of Citizen Matters since inception. This shd be published in all newspapers so that elected representatives of Bangalore will make a visit and do the needful if they really have a concern of the poor. Karnataka State human rights commission/Social welfare dept shd also read this article and do the needful.